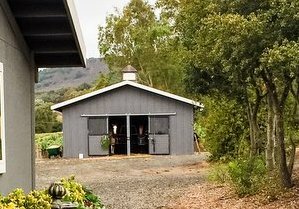 Premier equestrian center and training facility located at Shadybrook Estate Winery which includes indoor and outdoor arenas *vineyard trails* FEI Dressage trainer, Kristen Aggers, on site *boarding available* 10 minutes from downtown Napa * Call for a tour! Proud Home to MQ Training & Awakening Sporthorses - 70 stalls w/paddocks, lit mirrored indoor, 2 outdoor, xlnt footing, Equiciser, roundpen, track + more; clean & feed daily $650/mo w/trailer parking. Training NOT REQUIRED. Stallions allowed. Resident owners. 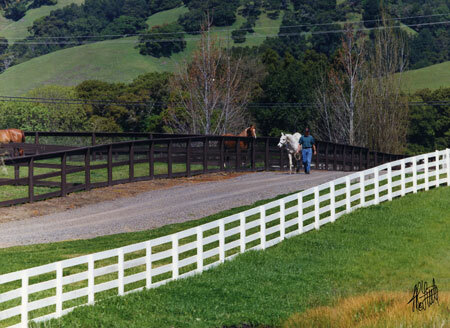 A 23-acre, full-care horse boarding facility in Santa Rosa. We provide a happy, healthy & safe place to board horse(s) of all ages including full-care retirement. We're known for our dedicated TLC! Board includes feed 3x per day, fly mask service, pasture turnout & supplement delivery. Joey Pedroni Stables is an elite full service hunter-jumper barn. JPS offers quality training and lessons in hunters, jumpers and equitation. 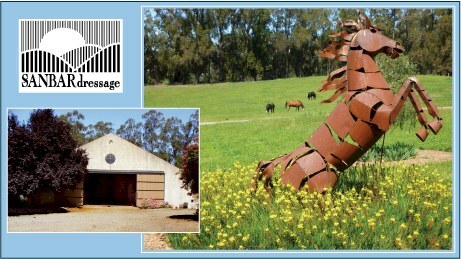 We are located at a beautiful private facility in Petaluma. English Riding Instruction & training, well trained school horses, Certified Instructors. Inside the Golden Gate National Recreation Area, miles of trails. 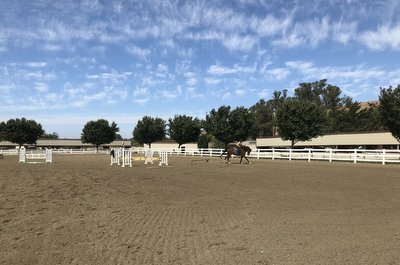 Two outdoor arenas, one indoor, round pen. Childrens & Adults Residential English Riding Camps. Also week-end & custom made camps. Beginner thru advanced. Horses for all skill levels, dressage, xc, jumping & more based on Pony Club principles by certified instructor. Join the fun in an informal, friendly & safe environment on 75 acres. 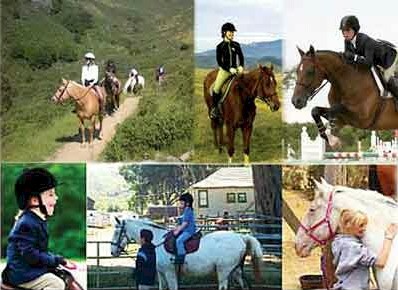 High end, full service horse boarding and training facility. Comfortstalls with attached runs, turnout on irrigated pastures, round pen, and covered arena. 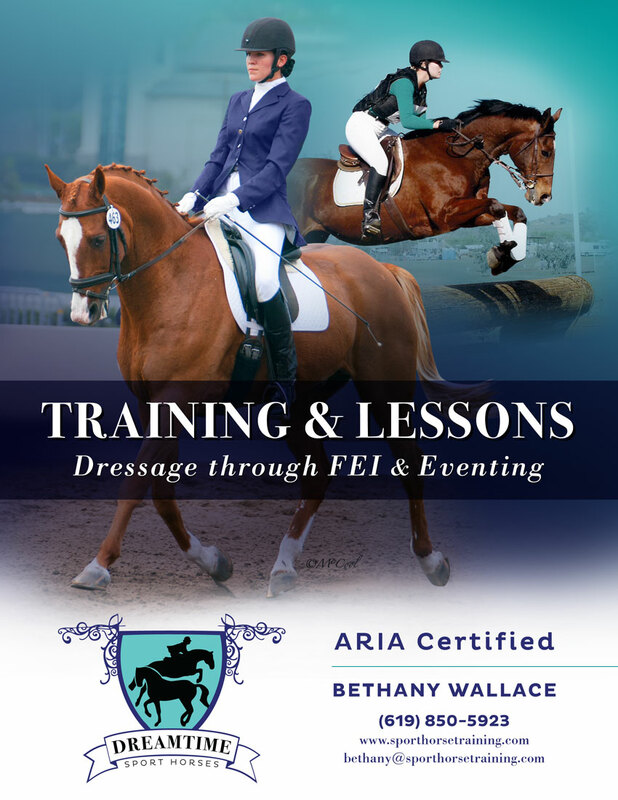 Quality training and lessons specialized in dressage, jumping, and eventing. Full range of horse boarding services, riding lessons & amenities for horse enthusiasts. Family-oriented facility offers pasture boarding with shelter & stall boarding with attached paddocks. Pastures, paddocks w/shelters. Holistic atmosphere. Outdoor sand arena w/new sand, round pen. West Petaluma. 5 mins. from Western Ave & 25 min. drive to Pt. Reyes riding trails. Near Helen Putnam Park. H Bar D Stables, "Where horses are in heaven and people are down to earth!" Located in the hills between the Sonoma and Napa Valleys, this offers boarding, English lessons and training and summer camps. We also beautiful facility host clinics and horse shows. English riding & boarding facility. 75 irrigated acres specializing in dressage & eventing by certified instructor. All ages & levels welcome. Residential 1 wk. or weekend camps for children & adults. Adult boarding stables - Petaluma. Close to Hwy 101,10 min. to Novato, 20 min. to Santa Rosa. Large stalls with run, large paddocks with shelters. Covered Arena, large outdoor arena, round pen, trails, 10 acre riding track. Please call for specific questions and prices. Horses socializing in big grassy fields - Well lit, ventilated cobbled stone barn with 13x13 stalls & paddocks,13x13 single stalls or 12x36 outdoor shelters/runs, and 14x14 shelters available. Covered & outdoor arenas, round pen, bridle paths. Designed for the horse & rider in mind! Full service, 'Boutique' Boarding, Training, Lessons & Sales Barn!